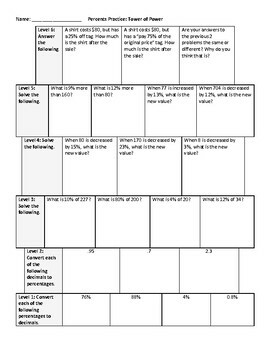 This scaffolded resource provides many practice problems all around percents. The students start at the bottom and work their way up to the more rigorous problems, ensuring they understand the foundational concepts and can access the common-core aligned version of these questions. I have used this as in-class partner work as well as homework.